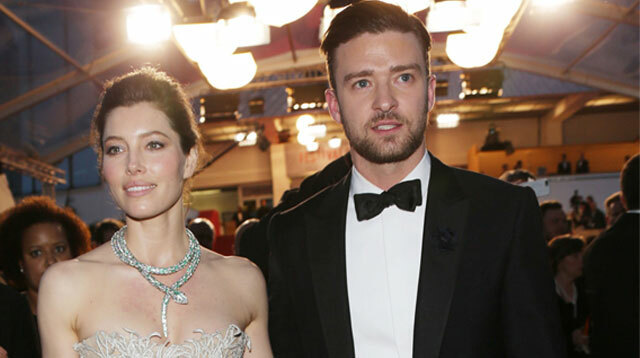 It's Official: Jessica Biel Is Pregnant! That makes Justin Timberlake a DILF. Jessica Biel is pregnant! The 32-year-old actress is reportedly expecting her first child with husband Justin Timberlake, whom she married in October 2012, and the showbiz power couple is said to be delighted about the news. A friend of the Total Recall star told Us Weekly magazine: "Right now they are just enjoying the news for themselves. They just want a happy baby." The pair's baby news may not come as a surprise to their fans as it was reported in August the couple had been trying for a baby for a few months. A source said at the time: "They've been trying to conceive for a couple of months now, and she told Justin she's going to see a fertility expert. She has no problem using technology, if that's what it will take to have a baby and stick this marriage out." Justin fueled pregnancy rumors last week when the 33-year-old singer attended the amfAR Gala in Los Angeles without the brunette beauty. What's more, Jessica's friend Ariel Foxman sparked further speculation his pal is expecting when the InStyle editor posted a Throwback Thursday picture on Instagram last week congratulating the star on her pregnancy. He posted: "Congrats @jessicabiel on your impending motherhood... Looking forward to the red carpet maternity style pic to come #tbt. (sic)"